Our grain and potato free formula is packed with a generous amount of beneficial proteins including salmon, chicken and turkey, fresh fruits and raw vegetables, unique and effective botanicals, powerful antioxidants and immune system enhancers – all the benefits of a raw diet (the history part) in a power-packed kibble (the innovation). 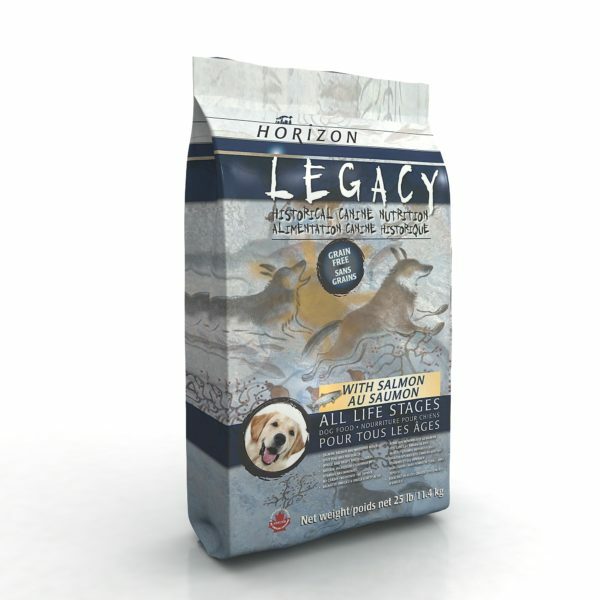 Meeting the needs of your “ancestral carnivore” (the meat eater) with an 80% inclusion rate of high quality fresh chicken, chicken meal, salmon meal, turkey meal, fresh eggs and chicken fat – all rich in essential amino acids for your pet’s health. Respecting the “omnivore” by including fresh fruits and raw vegetables including peas, carrots, apples, broccoli and bok choy plus blueberries, cranberries and pineapple that are packed with powerful antioxidant properties that shield your pet from free radicals and help fend off disease.